Overview: Disguise your online identity and access blocked apps and sites with Hotspot Shield, while keeping your mobile activities anonymous, private and secure! Hotspot Shield VPN Proxy is the most trusted security, privacy and access platform with top performance on speed, stability and security. Hotspot Shield gives you true online freedom – bypassing geo-restrictions and accessing world’s content from anywhere, with just one tap. Encrypt all your traffic and get access to global media, video, messaging or social apps and networks. Hide your IP address, identity, and location from trackers, and enjoy maximum privacy and security. Use the basic features for free (forever), or simply upgrade to Elite for unlimited features! Our proprietary servers ensure the fastest VPN speed, most stable and secured connections. Powered by AnchorFree, Hotspot Shield offers VPN coverage from 20 countries including US, UK, JP, IN, AU, CA, CN, and more! Hotspot Shield doesn’t track or keep any logs of its users and their activities. Your security and privacy are guaranteed! Any questions or suggestions, simply shoot an email to [email protected]. Satisfaction guaranteed! 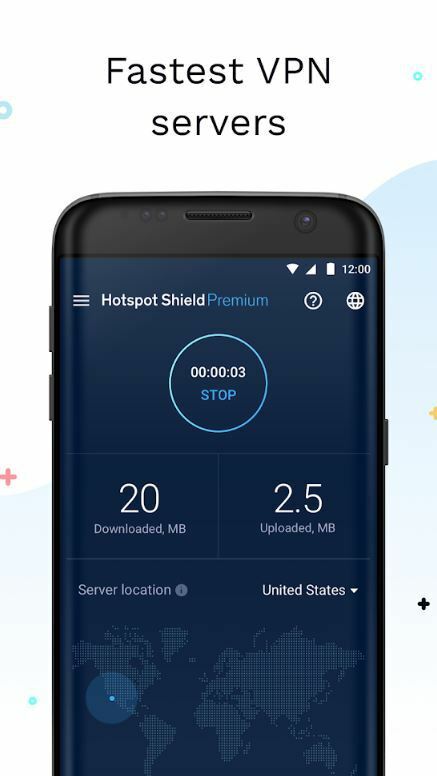 Hotspot Shield Free VPN Proxy has been installed more than 400 million times and has been featured on Forbes, CNET, CNN, and the New York Times.